Next week is PAX Prime 2011! I’ll be attending again this year, and I’m looking forward to an extra long weekend filled with fun and games. My brother will be flying in on Wednesday to join my wife and me, and all three of us will be hanging out at PAX all weekend. Here are a few of the things that I’m looking forward to enjoying during the expo. On Thursday, I’m planning to take my brother to AFK Tavern for a pre-PAX dinner. AFK is a gaming tavern just north of Seattle in Everett that has hosted the Epic Game Days as well as numerous other events. My brother has heard me talking about it and is eager to make a visit while he’s in town. If you’re in town early enough and interested in meeting up, this would be a good chance to say hi before the con starts. PAX has a pretty full schedule of panels covering a wide range of topics, but there are three in particular that I’m hoping to attend: The Art of the Table: GMing Beyond the Basics, Designing & Publishing a Tabletop RPG, and D&D Through the Ages. Since I spend most of my gaming time behind the screen, so I’m hoping the GMing panel has some good ideas to offer. The panel on designing and publishing likewise should be full of good information. Finally, the D&D Through the Ages panel has a great set of panelists and is the panel I’m most looking forward to. You’ve sat behind the screen before. You’ve run your players through adventure after adventure. Once you’ve learned the rules, what comes next for a truly good game master? Plot, character, and setting are vital, but what about often overlooked parts of the equation? What exactly is the social contract between players and game master? How is spontaneous improvisation managed? Who really controls the flow of the gaming table? Come dig deeper into what makes a good RPG and what turns a good GM into a great one. Many tabletop roleplayers have dreams of designing and publishing their own roleplaying game. In this panel, tabletop designers Vincent Baker, Elizabeth Sampat, Jake Richmond, John Harper, and Ben Lehman will take you step by step through the process of game development, playtesting, marketing, printing, and fulfillment; talking about their own experiences and pitfalls along the way. If you have a game in progress, whether a simple idea or a finished draft, please bring it along. The D&D game has changed over the years as it has grown from an underground phenomenon to one of the defining pillars of modern fantasy. Join us as we look at D&D through the lens of its rules. 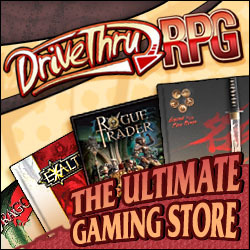 With each new edition, the game has changed and shifted to deliver the best fantasy gaming experience of its day. What changed, how has the game improved, and has it lost anything over the years? I’m planning to buy a fair amount of gaming goods while I’m at PAX this year. First and foremost, I’m hoping that Soda Pop Miniatures will have Super Dungeon Explore available for purchase. My brother and I played a demo of the game at PAX last year, and we’ve both been looking forward to getting our hands on the game since then. In addition to that, I’m planning to pick up a copy of Dungeon World’s Red Book and Fortune and Glory. In addition to those three, I’ll be looking at a bunch of other recent RPG and board game releases and wouldn’t be surprised to end up with a few other new games to play. One of my goals for PAX this year is to see some of the people I’ve met from the online gaming community. While wandering around the convention center, I’ll have my phone and be on twitter keeping an eye out for people to meet, but if you’re interested in saying hi feel free to send me an email, direct message, or leave a comment here and we can set something up. If you’re interested in knowing who else will be at PAX, @TheSheDM has started a list of members of the RPG community on twitter that are attending.